Photo from Corine Echols Greer Collection, daughter of Watt D. Echols and Minnie Hardy Echols. Her husband, J. W. Greer of Carrollton donated the photo in 1995. ­Lonnie Bell, 1919 -2001, a native Heard Countian and a well-known rural artist created the drawing. The type architecture is Romanesque Revival characterized by some arched win­dows, a square tower and pyramidal roof usually with, red brick walls in American bond, as is the case of the 1912 jail in Franklin, Georgia. Mr. Bell’s expertise was appreciated very much when he served on the Old Jail Restoration Committee in the 1980s. If you have visited the Old Jail or read the Heard and Scene Heard County Historical Society newsletters in 2012, you will be aware that the Old Jail Building has reached a centennial milestone! Information was provided about each of the eight sheriffs who served in the 1912-1964 period when it was the jail. The Heard County Jail was contracted to Pauley Jail Building Company for a price of $7500. It was built on the site of the previous jail. 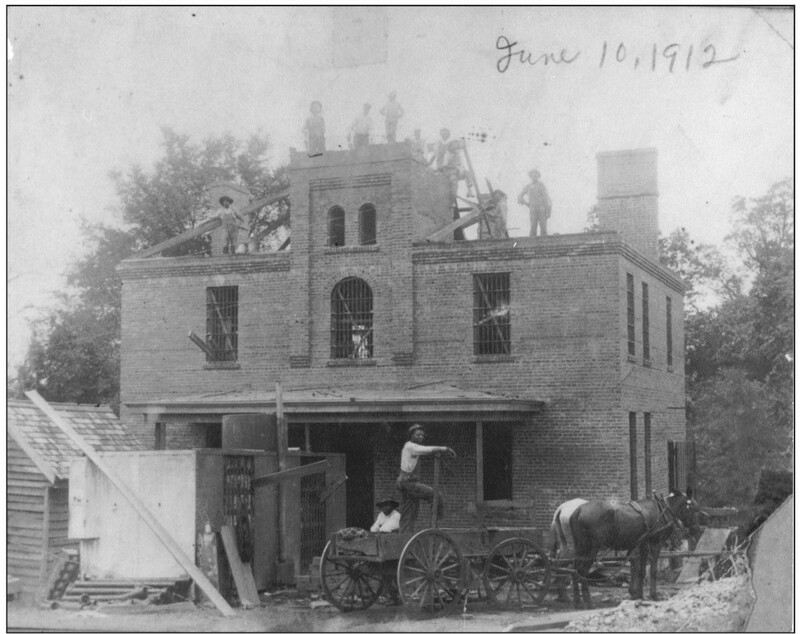 The construction was completed September 12, 1912. Henry Lee Taylor was the first sheriff to live in the building in the first floor quarters for the sheriff and his family. The inmates’ quarters were located on the second floor. Sheriff Taylor’s parents were William Daniel Taylor and Martha Virginia Adams Taylor. This Taylor family spent much time in Heard County and held family reunions at Olive Branch Baptist Church. Sheriff Taylor and Minnie Clare Jackson married on September 22, 1911. They were the parents of four children; two were born in the jail. There are some interesting stories, memorable events ­and history associated with the jail. Among those in Sher­­iff Lee Taylor’s time were an illegal hanging, the Chat­tahoochee “Wildman” who could not communicate in any language and there was no way to know who he was or where he came from. 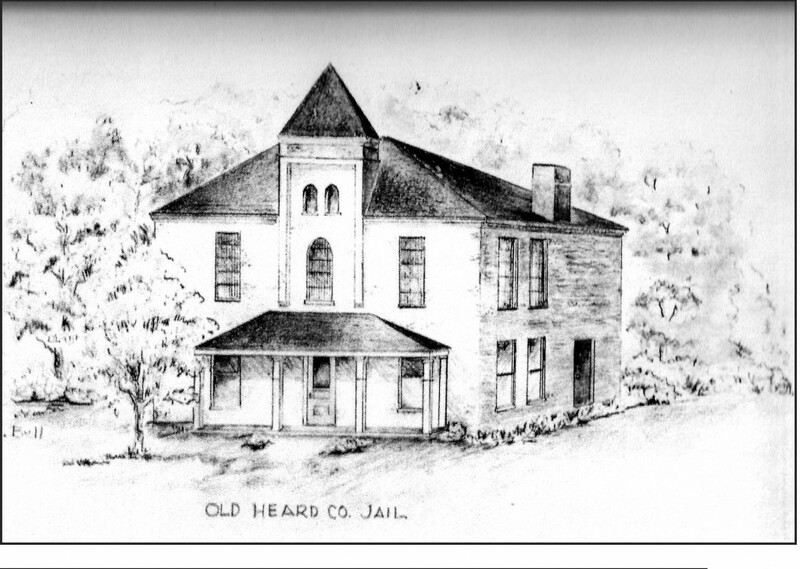 Sources: Excerpts from Heard and Scene Newsletters compiled by the Heard County Historical Society, Old Jail facts, drawing by Lonnie Bell.